We always have quality horses for sale which are not necessarily listed on our website, so feel free to contact us with your requirements. Mette Assouline specialises in finding horses to match specific requirements, such as horses of international quality or para horses. She organises regular monthly shopping trips to continental Europe. Many of the horses she has found and supplied have become Olympic and Paralympic stars or National Champions! 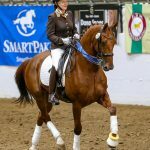 You might also be looking for a rider to produce your horse in dressage training and for dressage competitions. 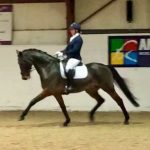 If it is a highly skilled dressage trainer you seek help from we can fulfil your need as we are one of the top dressage centres in the UK providing individual coaching and dressage training livery for your horse. We also have standing at stud our Grand Prix dressage stallion Forrest Gump, Wesphalian bred by Florestan/ Donnerhall. Contact Mette Assouline for details. Please browse through using the tab links at the top of each page. We hope you will enjoy our site. To check our facilities, take a virtual tour of Brickhouse Farm by clicking on this video. 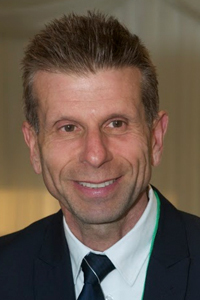 Michel is a graduate of the French National Equestrian School, home of the Cadre Noir in Saumur and gained a vast international experience in the USA, France, Germany and the United Kingdom as an international dressage rider and trainer. 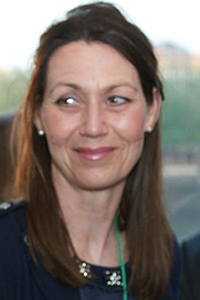 Mette started her international career as a successful dressage rider when she qualified her horse Question for the Danish Team. With her most successful horse, the Swedish bred Ilon she represented Denmark at the Aachen CDIO and had multiple wins in international Grand Prix. ‘Michel and Mette helped me look for the right horse for Rio 2016 a few years ago. They know what I need in a horse and what my goals are. Through their connections, they found the perfect horse, Athene, on which I knew I could defend my Paralympic titles. Di Redfern bought Athene for me purely based on her talent and temperament. 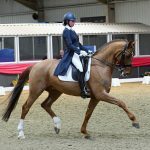 We knew she would need a little more training for a Para rider, so the Assoulines’ head girl, Jess Thompson, took her out to shows and let her see everything she would with me. When Jess became Elementary National Champion with Athene in 2014, that was beyond anything we expected! I would not have won gold in Rio without Michel’s help as Para coach. The whole team has definitely contributed to my success in Rio’. ‘Mette found D’Artagnan a PSG 11 year old Gelding by Diamond Hit from Denmark for me, I train at Assouline Dressage with Jessica Thompson commuting 120 miles. Within 5 months we were competing in our first International together. In 2016 we became National Champions with the highest score over all Para Grades with 75.65 % and also selected for the World Class Podium Potential sponsored by National Lottery’. Michel has helped me and trained my horses for nearly twenty years. He has a clear and sound method of training which is adapted to suit the individuality of each horse to enable them to achieve their full potential happily and without stress. This is evidenced by his training of my horse Annastasia from a gangly four year old to a highly successful international Grand Prix Horse, the starting on the road of my next young horse Demi Jour who became British Dressage National Champion and helping me to train and ride my current horse through from Advance Medium to Inter 1 so that I could achieve my goal competing in top hat and tails! ‘Darling Mette, You are responsible for providing me with my most successful horse…Love, Carl’.